Apple has just announced the annual Worldwide Developers Conference will kick off on June 10 and continue through June 14. 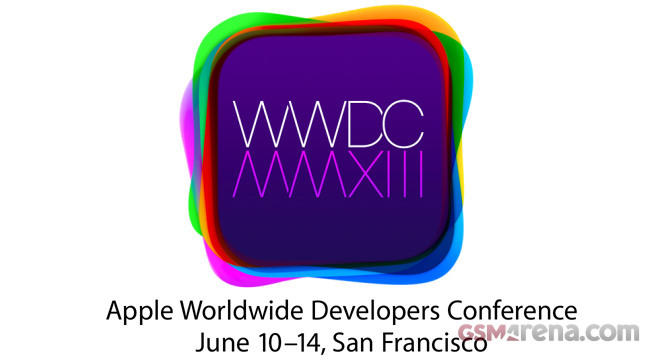 The WWDC 2013 will be held at Moscone West in San Francisco. The tickets go on sale tomorrow at 10AM PDT. Apple is expected to unveil iOS 7 and Mac OS X 10.9 at the WWDC this year. The Cupertino company has made crucial changes at the top of the iOS development team and we expect the upcoming release to bring a UI redesign. The Mac OS X 10.9 (some big cat for sure) is expected to bring more iOS features to the desktop, probably Siri, the Maps app, etc. We doubt we’ll see new iPhone(s) at this WWDC though. The hardware announcements will probably start September.